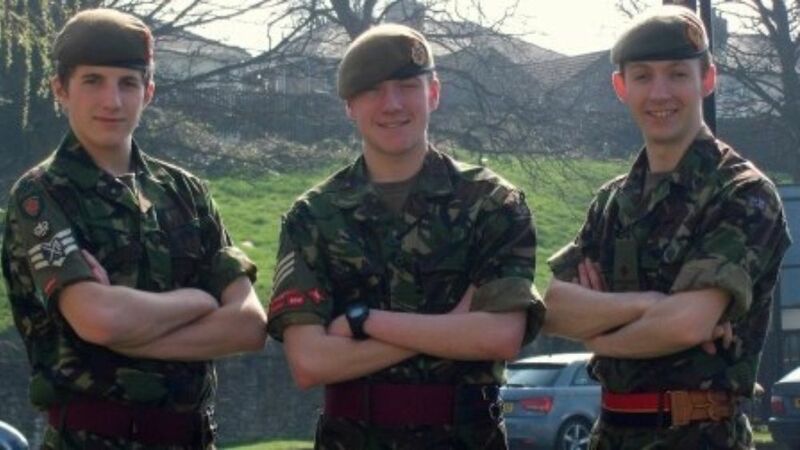 Cadets and adult volunteers from Carnforth Detachment, Lancashire Army Cadet Force will travel to London this weekend to take part in The Soldier Challenge on Saturday, 19th May. The Challenge, consisting of 35 military themed stands across London will see over 1000 teams take part in order to raise money for the ABF The Soldiers' Challenge. The team, all local to Carnforth, have been training hard since January in order to be physically fit for their challenge and have endured wind, rain, snow and the dark nights of winter in order to gain physical fitness that will see them go against activities such as kayaking, Land Rover pulling, running, obstacle courses and many more activities across the Capital. The team have just 4 hours to complete as many stands as possible and have vouched that they will show Regular and Territorial soldiers just what the ACF is made of! The team plan to raise £1000 for charity, and would like to extend an invitation to everyone in the ACF to donate whatever they can in order for them to achieve their goal. Click here to visit the Lancashire ACF Justgiving page. The team would also like to thank South East London ACF who are providing accommodation for the team during the event. Without their assistance, they would not be able to participate.